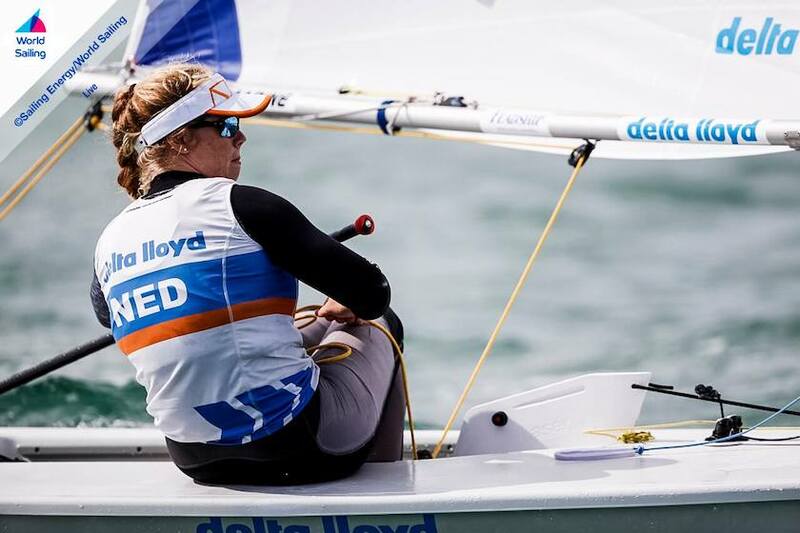 The two Laser fleets continued the Qualifications at the Miami Worldcup yesterday with two races in light winds. Today, two more heats are on the program to select the 10 best per class for the Medal Races on Sunday. Jean-Baptiste Bernaz FRA will be the premature winner in the Lasers Standard after today’s two races, as his lead of 31 points on Pavlos Kontides CYP and 2 points back Philipp Buhl GER as first challengers will hardly evaporate substantially. In the Lasers Radial, Vasileia Karachaliou GRE extended her lead on Evi Van Acker BEL to 16 points. Mathilde de Kerangat FRA remains on the 3rd place.